• Daniel prayed 3 times every day (count together to 3). 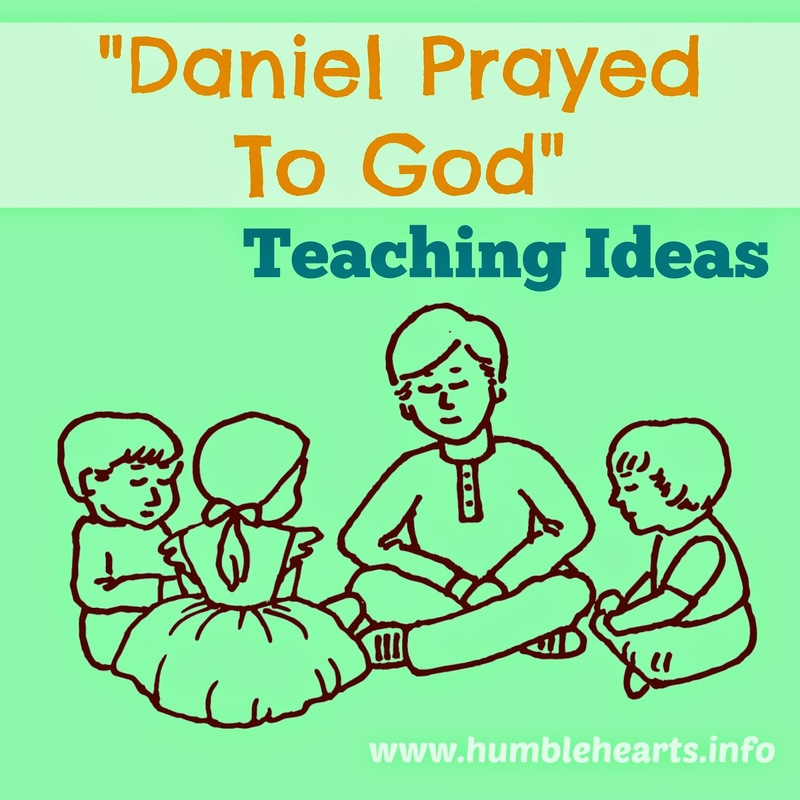 • Daniel prayed to God. • No! When you pray you are speaking to God. • God is Holy Spirit. We can’t see spirit. God is here, and He hears our prayers even though he doesn’t have ears. • Daniel thanked God. What are things that we can thank God for? • Bad men saw Daniel praying to God. • They made a rule that if you prayed to God you would be thrown into a den full of lions! • Do you think he stopped praying? (read theme verse). No! He went in front of His window and prayed to God. • So the bad men went and got Daniel, and threw him into the lion's den! • God sent an angel to shut the lion’s mouth! • (Read Daniel 6:23) Daniel believed and trusted that God would take care of him. When we pray we can trust God to take care of us. • Puppet: “Can I only pray 3 times a day? • We can pray anywhere we go, at any time of day. • If you don’t have a puppet you can make one out of a sock, or a paper bag, or a popsicle stick. • When using puppets when teaching the Bible, I have the puppet's character be really excited about the Bible. At the same time I still maintain that I am the one teaching about the Bible and not the puppet. "Jesus Christ Prayed To God"
"We Pray For Each Other"